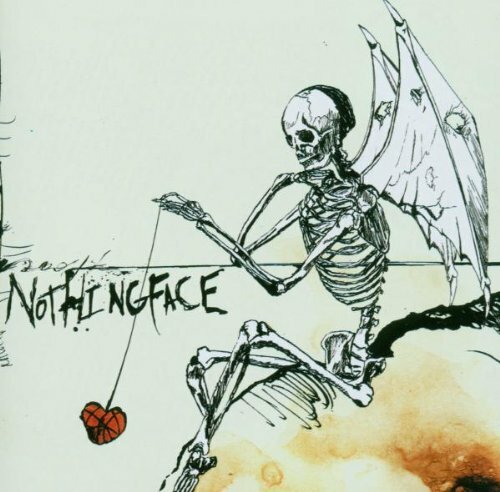 Formed in 1993 the much loved Washington DC based band Nothingface are the subject of this morning’s throwback. In 2003 they dropped album “Skeletons” with production from Bill Kennedy (Megadeth, Danzig, Monster Magnet). Having enjoyed success with single “Bleeder” from their previous album, being invited to join Ozzfest seemed like it was going to take the band to the next level. Instead a lack of label support from TVT and the in fighting that resulted caused the band to break up. Bassist Bill Gaal formed Kingdom of Snakes while Guitarist Tom Maxwell created Hellyeah. After a brief reunion in 2009 which saw single “One Thousand Lies” appear, the quartet went their separate ways with vocalist Matt Holt passing away at just 39 from a degenerative disease in 2017. Our throwback tune is the brilliant single “Ether” from “Skeletons”.